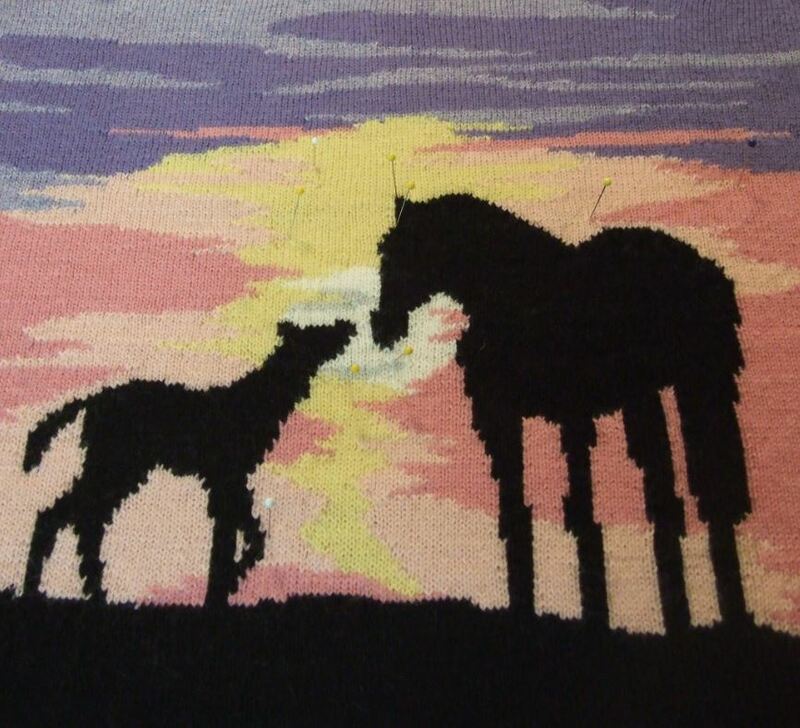 In the middle of trying to purchase and move into a new home, I have been working on a pillow design for my “horse loving ” grand-daughter’s birthday. I just finished the top last night, and finally have it blocked on my zero circle needles. Here is a peek. The back will be a solid black, with her initials in the Chickory blue of the sunset. I will be finishing it off with 1 1/2 to 2 inch black fringe. By the way, the designed sunset was taken from a photo. The colors and contrasts were stunning. Believe it or not, there are those who don’t believe that this is from a photo, but then maybe they haven’t observed the beautiful tapestry of colors that God created in our universe. As always, I will add this to the charted designs on the “pillow” page as soon as I have time. It may be a while, as I need to settle in my new home first.